So sorry to hear of Jack Riley's passing. 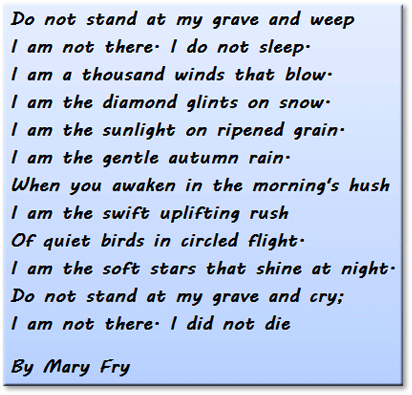 "May he rest in peace". Such a stalwart supporter of all things MAMS. Thanks for the wonderful newsletter and all our first recollections on the squadron. It's only 6-25am here in Abingdon, Friday 30th May, hoping for a fine day! 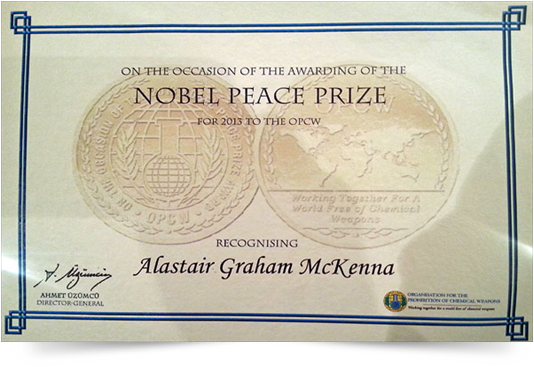 Ex-UKMAMS Mover recognized in Nobel Peace Prize Award! Often life gives a slap in your face. But sometimes you get a pat on your back. Today I got a pat on my back! 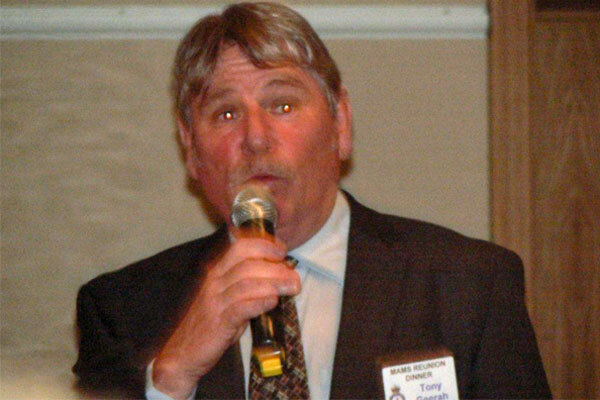 Very sorry to hear about Jack Riley; a very sincere person to the end. 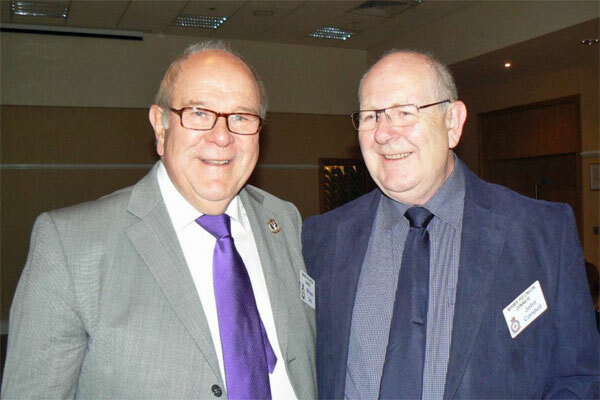 As Chairman of our branch of RAFA I go to conferences and so many are passing from us that, at age 62, I seem to be one of the younger ones left. 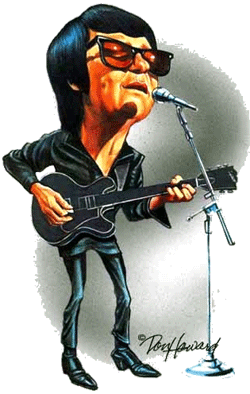 It hurts when I find so many of our era are no longer with us. Subject: Condolences on the passing of Jack. My name is Graham (Geordie) Flanagan and I offer my deepest sympathy to you all on the passing of Jack. 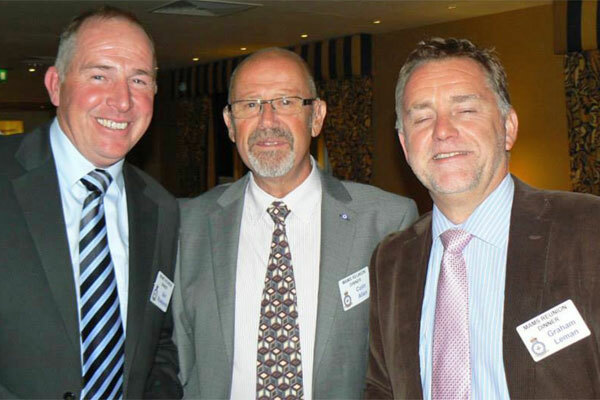 I never knew him personally but I used to enjoy reading his contribution to the OBA Newsletters, he will be sorely missed. Once again please accept my sincere and deepest sympathy. It is with heartfelt sympathy that we heard today of the sad loss of Jack. Pam and I are some of the few Members of the OBA who had the good luck to be able to visit Jack and Jude on two occasions when we visited Hervey Bay and were made most welcome by them. We enjoyed the drinks both at their home and also at the Sailing Club when we were whale watching. Our thoughts and sincere sympathy go out to you at this very sad time but our memories of our visits will stay fresh in our minds. Having said that, I offer my sincere condolences to you, your family and close friends. All are interested over your connection with Jack Riley, how you met etc. Please let us know more? 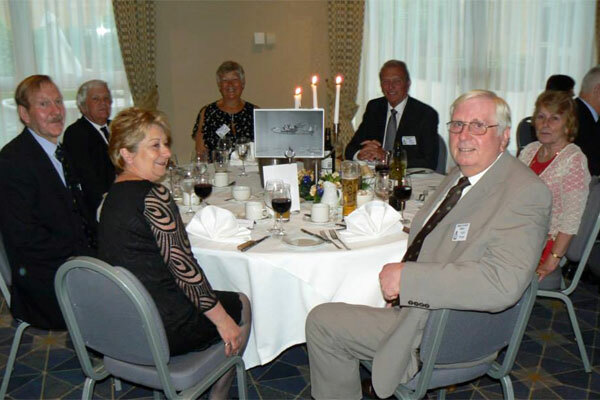 We have the latest UKMAMS Dinner tonight on the old RAF Hospital Wroughton at Swindon, very swish hotel on the site these days. Looking forward to seeing old friends from many years ago. Will let you know how it goes. The connection with Jack Riley... 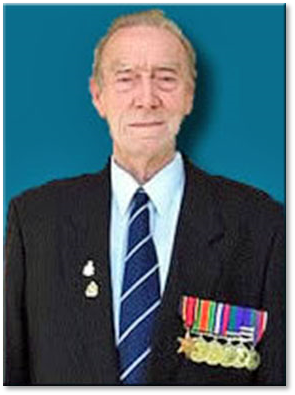 I first heard of Jack in March 2001 as "an old RAF Mover living in the outback in Oz" from Brian Lloyd of the Changi Association, but he himself had lost contact with Jack. So began a search. 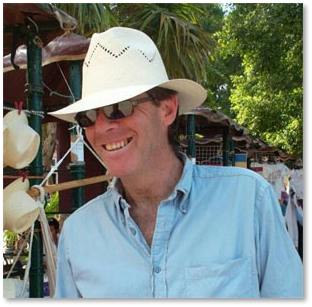 I know this sounds a little far-fetched, but it is the absolute truth - I managed to locate a chap called Cameron Kneebone (shades of Crocodile Dundee!) and he was able to track Jack down for me. 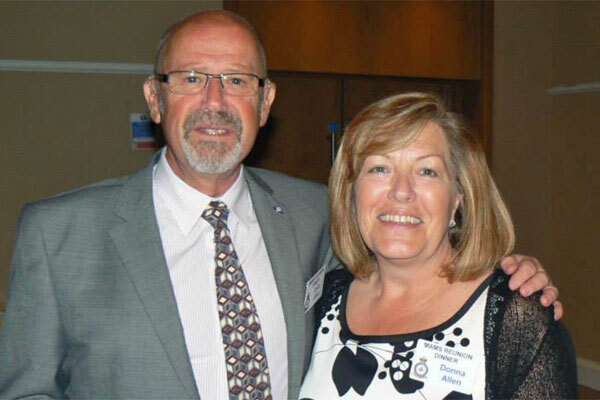 I sent an invitation to Jack to join the OBA and he became a member in early April, 2001. On May 18, 2001, Jack accepted my invite to become Honorary Chairman of the UKMAMS OBA... and the rest is history! Back to the current day... 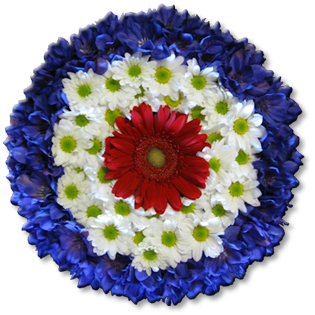 I've made arrangements with a local florist in Hervey Bay to make up a wreath in the shape of an RAF roundel "From the worldwide membership of the UKMAMS Old Bods Association." It was Jack's wish only to have family flowers, but sometimes it's easier to ask for forgiveness after the event than permission beforehand! I'm sure you're going to have a spiffing time tonight - please extend my regards to all. 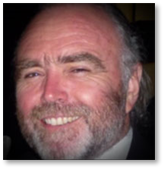 Sad news that you sent out the other day, I feel that I knew Jack pretty well as when you started the Old Bods way back in 2000 Jack and I exchanged e-mails with each other and from them and his messages on the Briefs he certainly lived a full and varied life. I trust that you will keep his image on the home page. 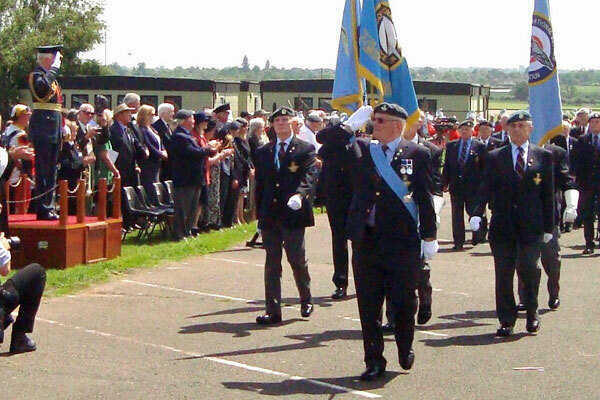 As an aside as I told you last month the annual NSRAFA parade was to be held this last Sunday 1st June so I'll send you a report on that with some photos later. 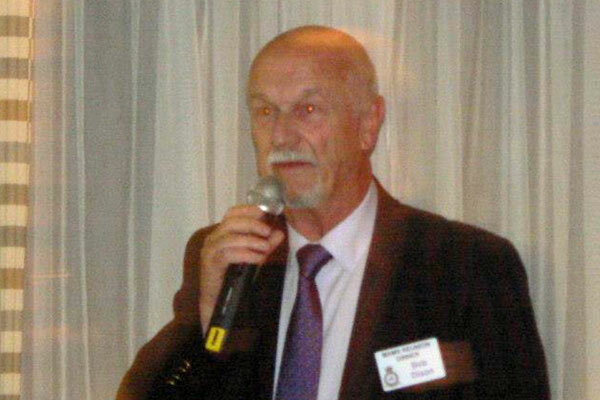 When I first heard of ‘Our Jack’, as we affectionately came to call him, down in Oz, it was via Nev my husband who had just joined the UK Mams OBA site in 2001; he having been part of the Movements Sqn in the 1970s. Being a little jealous of this brilliant new website that Tony Gale had started, I was keen to muscle-in on the ‘Old Boys’ squad (now ‘old bods’), as there wasn’t anything like it for ex PMRAFNs at the time; Nev didn’t get a look in for a while, as it was in the days before personal laptops etc. - my how times have changed! 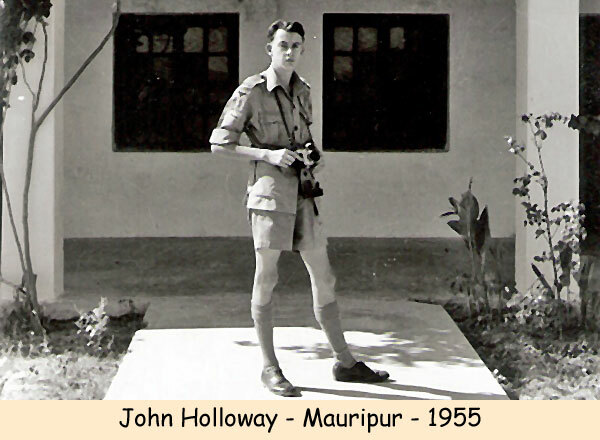 I read Jack’s profile and realised that he had served in Burma and India in the RAF Signals - later TCW- around the same time as my father about 1945/6. I had recently found out that my dad had been an acting SNCO in the Signals corps and used to listen to the Japanese flying overhead and try to decipher their message codes. I hadn’t realised that my father could even speak Japanese, let alone, find out what they were talking about mid-flight! He also spoke Russian, but that’s another story. 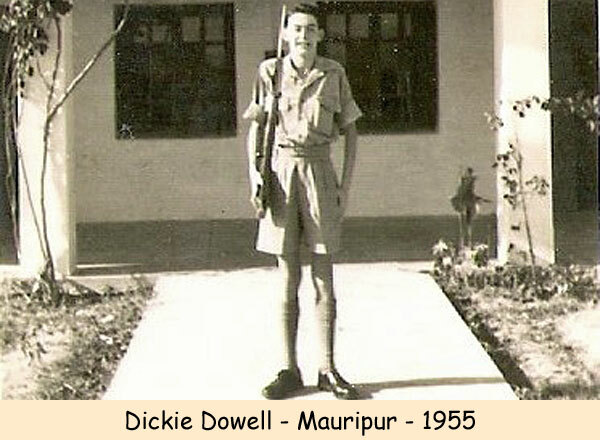 After I contacted Jack he was able to put me in the picture about what life was like in India during the latter years of WW2 and gave me a very in-depth insight about what my father actually did there, as, like a lot of people after they returned from a war zone, he never spoke much about it. Jack, Jude and the ‘hanimules’ (his name for all the animals who lived with them) became very much part of our family over time, with many a memorable e-mail reducing us to tears of laughter at eachother's jokes and antics during our service lives. We shared a love of the Australian red vine juice, the Kiwi white vine, art, writing, music and he even tried to teach us how to make marmalade from grapefruits and other citrus goodies that he grew in his garden - we had to buy ours! For one of his birthdays, I sent him a watercolour painting I had done of his, once home Nansough, in Cornwall before he emigrated to New Zealand in 1974, with his 2nd wife Ann and family. He was a bit foxed at first as to how I had managed to do it. I confessed to him later that I had written to the present occupiers and a neighbour, to ask for a photo. They duly obliged and I was able to paint it for him - they got a copy too as a thank you for all their trouble. Jack later contacted them himself and kept in touch for many years. One thing I had in common with his first wife, was serving as a nurse in the PMRAFNS and also postings at Halton and Uxbridge. I had spent some time at CME in London in the late 70s just before I started nurse training, so could chat to him all about places we both knew, especially the Nuffield centre - I sometimes felt I must have walked in his footsteps on many an occasion. He used to tell me about the days he spent at Wimbledon, mingling with the tennis crowds, whilst living and working in London and that one of his favourite LPs was by Ralph McTell, which featured the song ‘Streets of London’. It must have brought back fond memories of ‘Blighty’ when he played it. After his time in the RAF as a Supply/Movements officer in the Far East, he spent some time in Cornwall nurturing his garden centre, specialising in fuchsias. His botanical knowledge was second to none and I always turned to him if I needed to know such things as, how to trim a cherry tree in the autumn, how to grow apples and what variety of fuchsia had I just purchased. We shared a love of wildlife and nature and he would send us photos of Golden Orbs in their webs, kookaburras on his fence, and the many other wonderful species of birds that visited his garden via the nature reserves in Hervey Bay where he lived with his wife Jude. He had a fascinating, and in his own words, ‘Colourful’ life history, both in the RAF and beyond and when I told him once that I had just read the book ‘The Holy Blood and The Holy Grail’, he took great delight in telling us he knew all about Freemasonry, as he had once been a ‘Knight's Templar’ when he lived in New Zealand, to which we asked, amusingly, if he had ever been issued with a halo! We even sent him photos of the Rosslyn Chapel after visiting it not long after the film ‘The Da Vinci Code’. We had to tell him it didn’t look anything like it did in the film and unfortunately we hadn’t managed to find the legendary golden chalice, nor the secret of eternal life! We will always love you Jack, along with your wonderful humour, your incurable wit, your infinite and helpful advice and most of all your stories. During the many years, nearly 15 of them, that we have known yourself and Jude, we always felt as if you both lived next door! 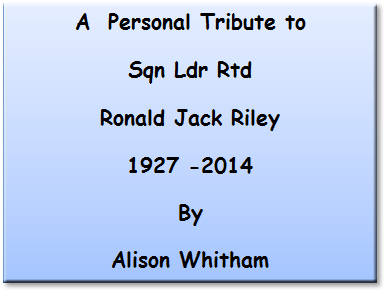 A strange thing happened when we moved back up to Lancashire from Brize in 2002 -our neighbours were actually called Riley!! Jack was always fond of any Twilight-Zone tales and this was one of the many we encountered. We will never forget Jack when you sent us the above photo of your younger self and said, ‘Look what you missed!’ We will miss you Jack, so very much, but will definitely keep in touch with your lovely, equally witty and much loved wife, Jude. God bless, rest in peace and sit back and enjoy the Merlot - you deserve it! We were so very touched to receive the beautiful wreath in the colours of the RAF roundel. Sarah (daughter), placed the British flag over part of the coffin with the wreath beside it. His favourite tipple, a bottle of Merlot, also took pride of place plus other pieces representing Jack. Sent him off in all his glory with buckets of tears! We brought the wreath home and it has been sitting on the table with a candle in front of it which I light every evening. Beautiful. I still feel very fragile and heartbroken. I was so blessed to have had 27 wonderful years with him. A true gentleman, so very kind and thoughtful. He’s now at peace, God rest his soul. I have my sister here with me from NZ for 2 weeks now for support. Matt, our son in Brisbane, has been a loving rock to me. He’s a true chip off the old block, bless him. Kind regards to you Tony. He loved MAMS. The Hollywood star plays Major William Cage in the futuristic thriller "Edge of Tomorrow" alongside Emily Blunt. The story is about aliens who invade Earth. 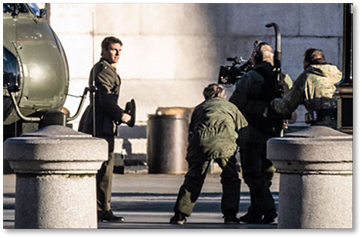 Cruise lands in Trafalgar Square in a Puma HC Mk1 in the opening scene, which was filmed in November 2012. He said it was "one of those exceptionally cool moments in a career spent in locations all around the world". "The Puma is an absolutely fantastic aircraft for this task. It's very small, very capable and perfect for the urban environment, for tight landing sites close to buildings, close to trees. For this particular task it has got a large enough cabin that it could carry the actors, the sound personnel and camera crew that were required to perform the task. "It is a little strange to think that perhaps hundreds of thousands of people have seen us but it's a great advert for the Royal Air Force. "The crew did a great job and I think the results are just absolutely fantastic." 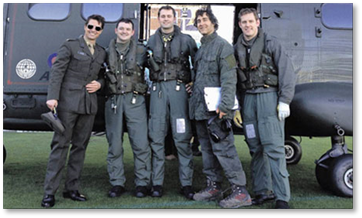 Squadron Leader Brad Hewitt, currently Officer Commanding B Flight of 230 Squadron based at RAF Benson, said: "Working with Tom Cruise was something that I never thought I would do when I joined the RAF. 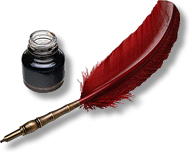 "He was extremely professional and very pleasant. He was so excited that we were getting to do this flight for the film. Everyone had worked so hard to get it to happen - it's not every day that a helicopter gets to fly into Trafalgar Square. It's no wonder that I didn't see one as we were so flat out, it was bloody hot and it was Non-Stop Op Stops all day (pun intended), it was actually the hardest day that I ever worked in the Airforce and I think I lost about 8Kg in sweat! Was all worthwhile though, especially seeing the looks on some the faces of the passengers as they got off in Malaysia. I remember one old guy that walked down the ramp, he came up to me crying and shaking my hand thanking me for getting him out of Cambodia, made it worthwhile right there. 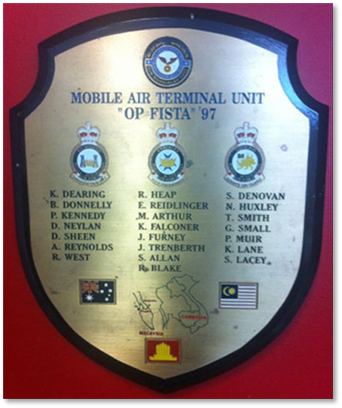 It was a bit hush-hush at the time, I can remember when we had the plaques made up after the trip we couldn't even use "Op Vista" on them so we made it Op "Fista" ha ha. We have a good team everyone knew their roles and very satisfying trip that one! Wow, bit of a flashback with your Op Vista write up, it brought back a few memories; I can't even remember a photographer being there! 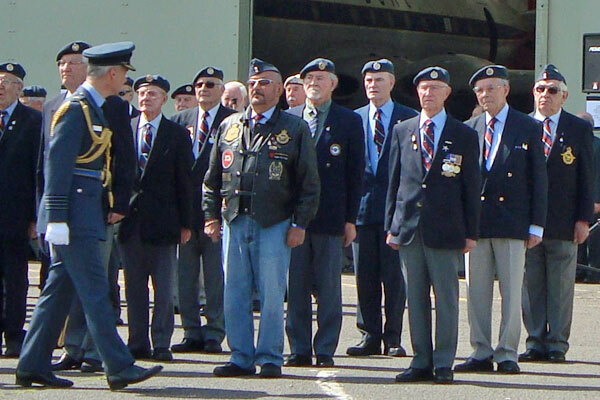 Last Sunday, June 1st, was the eleventh annual NSRAF parade at RAF Cosford and we had about 150 on parade. The march was led by the West Midlands Fire Service Band resplendant in their bright red uniforms and silver helmets. The reviewing officer was Air Chief Marshal Sir Stephen Dalton accompanied by Group Captain Adam Samson, station commander of RAF Cosford. They inspected the parade and then short speeches were made by the ACM including a message from H.M. The Queen expressing how valuable our services had been as national servicemen. The Last Post and Reveille was played by a member of the W.M Fire Service Brigade and the Kohoma Epitaph was read out. Whilst this was going on and it probably was the hottest day we've had so far this year and standing so long in the hot sun a few of the lads succumbed and passed out. Luckily the medics were in presence so they were quickly attended to. The D-Day Darlings were in attendance and gave us a rendering of all the old favorite war time songs during the afternoon and we also had a contingent of cadets from four local ATC Squadrons on parade with us. Subject: The worst hotel I ever stayed in! I can help on this one. Back in the early ‘90s we used to go to Liverpool John Lennon Airport; accommodation was nearby at Speke. For reasons of litigation the “hotel” shall remain nameless - it was a pub which did B&B, and I remember a trip with Mick Cocker and Alan “Biggles” Ross. It cost a tenner a night, the light switches and bathroom fittings had dirty finger marks all over, and one was never sure if the bedsheets were clean. It looked a bit like somewhere men would take a certain type of lady and pay for the room by the hour, if you understand. The local area was very dangerous; in the evening, the shops had metal shutters which came down, and we were advised not to try to walk round the area after dark - most of the locals were steaming drunk. The one redeeming feature was the fabulous All English Breakfast, which signified that you had survived the night. It was in January 1972 when we were on a task in Belize. On arrival we were informed that we were booked into the "Bliss Hotel" which advertised a swimming pool, air conditioning etc. I suppose you can say the advert did not lie as there was a swimming pool but no water! There were air conditioning units, however most of them had frozen solid so little or no cool air circulation. I recall we did not eat in the hotel preferring to go out for meals. This certainly was one of, if not the worst hotel, I remember staying in; especially given its name! One other hotel that ran a close second was the one used in Cagliari, Sardinia. I cannot remember its name, but do remember on one occasion arriving to find it was overbooked and the remedy was to squash another bed into what was a smallish single room to allow two people to share the room! We were on holiday in Malta and I had decided I would like to stay in Valletta. Stayed at The Osborne Hotel - big mistake! In its brochure it said the food was "International Cuisine." I don't think so as it was powdered potatoes and breakfast only had one fruit juice on offer. Our room had a double bed and a cot. The room safe was attached to the inside of the wardrobe which was free standing. Our window looked out to a courtyard with various pipes and tubes venting out steam. The rooftop pool was at best 5' square had green algae on the surface; the deck chairs and sun loungers were in various states of disrepair. It took me ages to convince Avril (SWMBO) that I was not just being cheapskate! The plane restaurant is the brainchild of pilot Mustafa Azim Aolad and chef Mofuh Miah, who wanted to create a unique venue to serve up curries.Unfortunately the restaurant, which has space to seat 110 diners, won't actually take off, but diners will be able to enjoy the airport view out of the windows as they tuck in to their curry. 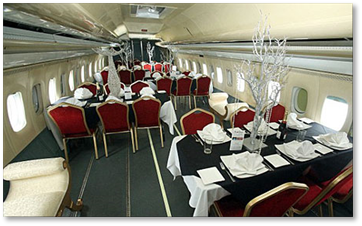 The plane will stage a charity event this summer and if everything goes smoothly the owners hope to open a host of other aircraft eateries across the Midlands. 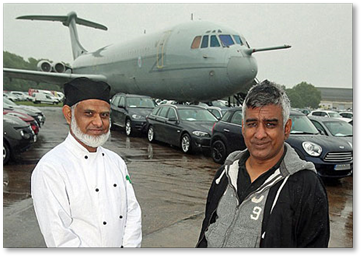 Mr Mustafa owns Imperial Air Salvage and has flown celebrities from Snoop Dogg to DJ Jonny Vaughn in his planes, as well as providing two aircraft for the Tom Cruise blockbuster Edge of Tomorrow. But now he has set his sights on on-board dining, opening up the plane restaurant with Mr Mofuh, who own an Indian restaurant, Amina Indian, in Sutton Coldfield. Mr Mustafa said: 'We are looking to trial the idea first and if it is successful and proves to be very popular then we will be looking to submit planning applications to a number of councils across the Midlands including Birmingham. The two men have worked together before. Earlier this month Mofuh’s takeaway teamed up with Mustafa to deliver hundreds of curries to UN troops in the Democratic Republic of Congo. Subject: Re: Welcome to the OBA! Thanks very much for the acceptance into the OBA. I was fortunate to have worked with the UKMAMS team from Lyneham in Dubai and Bahrain in early ‘91 and met up with a few in the USA the following year and again a couple of years later in Diego Garcia. We had a great time smuggling gear through the port and then onto Bahrain. The best haul was a load of Aussie pies needed for ANZAC day. The MAMS guys were very obliging in allowing us to transport such a precious load on an RAF Herc. A very professional team, as are all MAMS people. I still have my UKMAMS t-shirt! 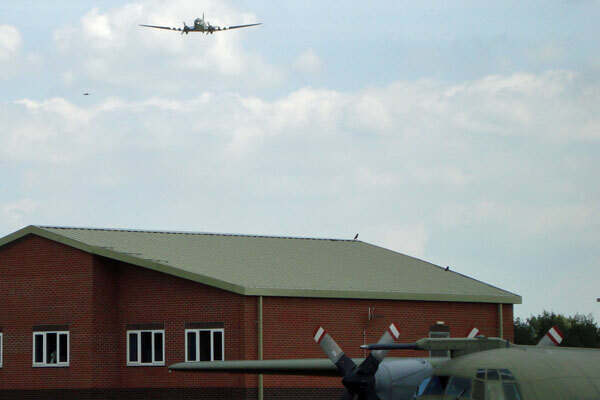 With the RAF Alberts being in use for so long - 60 years, this account has a resonance. The story regarding the last flight from Vietnam is legendary and for some the presence of this aircraft at the gates to Little Rock AFB is also well known. 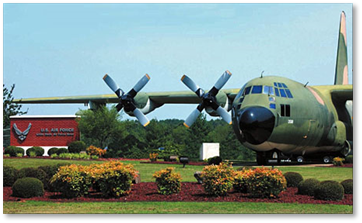 This C-130A Hercules was the 126th built by Lockheed Aircraft of Marietta, Georgia. It was accepted into the US Air Force inventory on 23 August 1957. On 2 November 1972, it was given to the South Vietnamese Air Force as part of the Military Assistance Program. A few years later, the aircraft would be involved in an historic flight. People hurriedly crowded into the Herc, packing in tighter and tighter. Eventually, the loadmaster informed the pilot, Major Phuong, a South Vietnamese instructor pilot, that he could not get the rear ramp closed due to the number of people standing on it. In a moment of inspiration, Major Phuong slowly taxied forward, then hit the brakes. The loadmaster called forward again stating he had successfully got the doors closed. In all, 452 people were on board, including a staggering 32 in the cockpit alone. Using a conservative estimate of 100 pounds per person, it translated into an overload of at least 10,000 pounds. Consequently, the Herc used every bit of the runway and overrun before it was able to get airborne. The target was Thailand, which should have been 1:20 in flight time, but after an hour and a half, the aircraft was over the Gulf of Siam, and they were clearly lost. Finally, a map was located, they identified some terrain features, and they were able to navigate. They landed at Utapao, Thailand after a three and a half hour flight. Ground personnel were shocked at what "fell out" as they opened the doors. It was clear that a longer flight would almost certainly have resulted in a loss of life. In the end, however, all 452 people made it to freedom aboard this historic C-130. 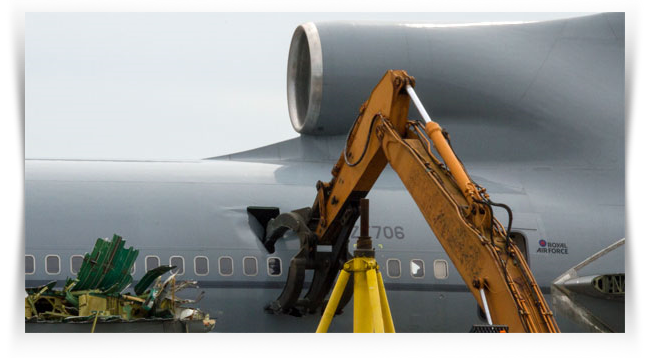 Upon landing, the aircraft was reclaimed by the United States Air Force and assigned to two different Air National Guard units for the next 14 years. On 28 June 1989, it made its final flight to Little Rock Air Force Base and was placed on permanent display. On 29 April 1975, this Herc was the last out of Vietnam during the fall of Saigon. With over 100 aircraft destroyed on the flight line at Tan Son Nhut Air Base, some of them still burning, it was the last flyable C-130 remaining. In a very panicked state, hundreds of people were rushing to get aboard, as the aircraft represented a final ticket to freedom. The Worst Hotel we ever stayed in? At risk of being accused of repeating myself (as the story has been told before), I would wish to nominate the Airport Hotel, Sal, Cape Verde Islands in 1968. Today the Cape Verde group of Islands, including the modern Amílcar Cabral Airport, Sal, is another seriously attractive place in the sun. Back then it was not just a bit different, it was a lot different! Meanwhile, if Tony decides to expand on the ‘hotels we have known’ theme - how about ‘Most Interesting Hotel’. Mine would have to be one I stayed at in the middle of Turkey as a member of a 38 Group recce team planning a Harrier squadron exchange exercise. For the two nights we were in-country we had been booked into the hotel in a small nearby town. This interesting multi-portfolio establishment combined a café/restaurant on the ground floor with the hotel on the second floor, and, as we only discovered on day 3, the town’s bordello in between! The main reason for keeping the airport at Sal appeared to be to stage a weekly South African Airways 707 on a New York schedule as SAA was denied landing rights by most African countries due to the international boycott of apartheid. 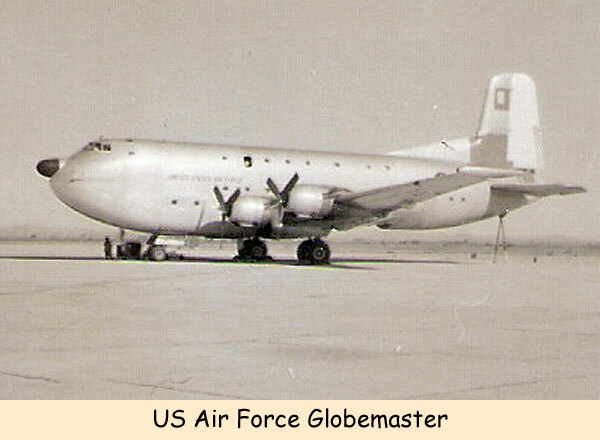 In November 1968, F team were tasked to Ascension Island on Belfast XR366 with a load of communication stuff. 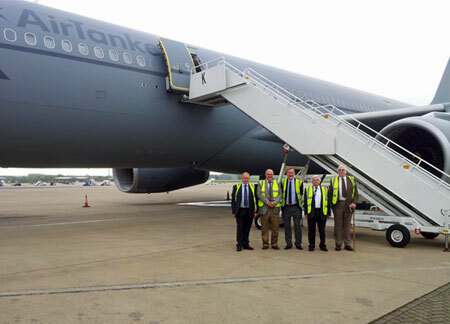 Our schedule was Brize, night stop Larges, (gas and go Sal in the Cape Verde Islands, Ascension for the off-load and night stop, Sal (night stop) and then back to Brize direct. On the way south during the refuelling stop our Air Quarter Master (Loady to more recent joiners) did a recce of the Sal airport hotel and restaurant where we would be staying on the way home. The AQM’s report, especially of the kitchens, was, to be polite, not very positive. So, having loaded up with beer at Ascension for the run home we still night stopped at Sal as planned, but only partook of a simulated supper (i.e. drink the Ascension beer but skip the lumpy). Then in the morning, the first of the pilots to wake up woke up everyone else and we high-tailed out of there before anybody could catch anything. Hardly had the wheels retracted than the Q was producing an excellent al fresco inflight breakfast of warm rolls, boiled eggs, coffee etc. to catch up on the solids. I don’t remember much of the actual hotel facilities, except Taff Price demolishing a porcelain crapper just by sitting on it. I seem to recall some time ago you featured someone who was looking for photos of VC10’s operating in various regions. Having just gone through some of my Far East photos I have come across some VC10 shots from Kai Tak and Osan in Korea. If you can remember who was looking for photos of this nature can you let me have the contact details and I will forward copies as appropriate. I contacted John McCrickard and will be providing him with some VC10 photographs of Kai Tak landings/turnrounds etc. He is still looking to add some additional Movement related items to the book he is compiling, the aim being to add to the (RAF) VC10 story, and as such perhaps you could prompt your readers again to contact John with any interesting or unusual movements related experiences they may have of VC10 operations. Being mainly Lyneham based, I experienced minimum VC10 movements activity so I was unable to provide John with much info, other than Far East operations 88-92. I am sure that there are many of your readers who could relate experiences when working either Base or ‘down-route’ with the VC10, and John would be interested in anything in this area. I have been rooting through some boxes and came across a newspaper cutting of our Open Day celebrating UKMAMS fifth anniversary in 1971. Ottawa announced that it has completed all required amendments to both the acquisition and long-term in-service support contracts with Sikorsky Aircraft Corporation for the acquisition and maintenance of 28 CH-148 Cyclone helicopters. In their final configuration, the helicopters will be capable of a full range of search and rescue and utility missions in challenging environments, as well as being able to conduct anti-submarine warfare and anti-surface warfare. 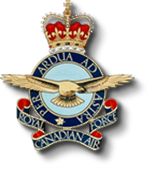 After many years of speculation, on 18 June the Government of Canada finally closed a deal to order new maritime helicopters that will replace the ageing Sea Kings operated by the Royal Canadian Air Force (RCAF) under its Maritime Helicopter Project. 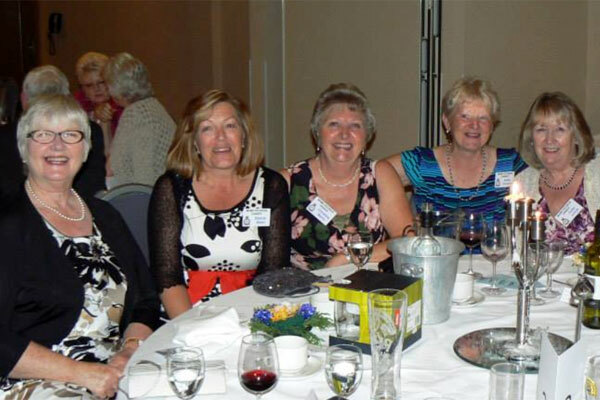 Five expectant former MAMS Commandos gathered at the Main Guardroom, RAF Brize Norton, on Wednesday 23rd of April, St Georges Day, and right from the off we were shown every courtesy. The Guardroom staff were extremely helpful; when a slight delay was incurred they allowed us to sit in a side room until our host arrived. We were then shown where to park and bussed to our destination, 1 Air Mobility Wing (AMW). On our arrival we were taken to a briefing room and given a superb briefing by the OC, Wing Commander Jones. This was followed by an operations briefing and then a splendid lunch in the Sergeants Mess. Following a cup of coffee in the anti-room, we were back on the bus and being taken to the Pax Terminal where, although we could still see remnants of the old check-in and baggage area, the refurbished interior is now huge. Then came a tour of the cargo shed and a briefing of how it will look when the new shed is built and finally commissioned, which we all know will be some time coming. Our next bit was a real surprise as outside was an Explorer aircraft with steps up and who should be there to greet us, none other than the new Explorer Dispatcher Mr Stevie Joyce, whom I'm sure a lot of you will remember. We were taken on board and given the full tour, and then we were back on the bus and heading to our next destination which we would all know as JATE. It is now called JADTAU (Joint Air Delivery Test and Evaluation Unit). 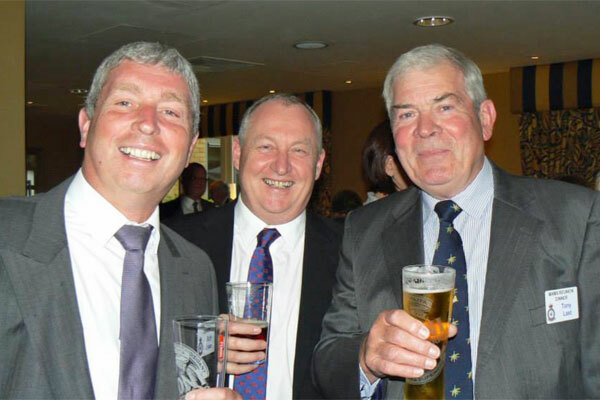 Pete Herring, John Belcher, Mick Day, Keith Simmonds and Keith Parker. We were met in their hangar and given a thorough briefing by another Mover many of you will recognize, Flt Sgt Rod Morgan. The tour was most informative; not only about the work they do there but about how the whole movements job has changed. We were shown into the mock-ups of the new A400M and the C17 - both very impressive indeed! But then all too short we were on our way back to the car park and on our way home. 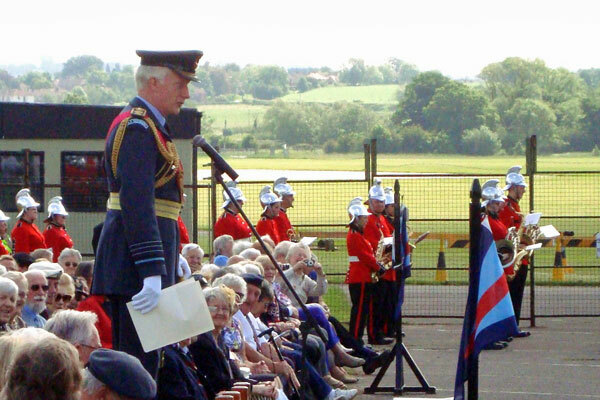 The visit was a great success and on the Wing Commander’s promise that we can do it again later in the year. I will give more details later. TriStar C2 (500) ZE706 (cn 193Y-1177) "Damien"
It's me yet again, busy day today. 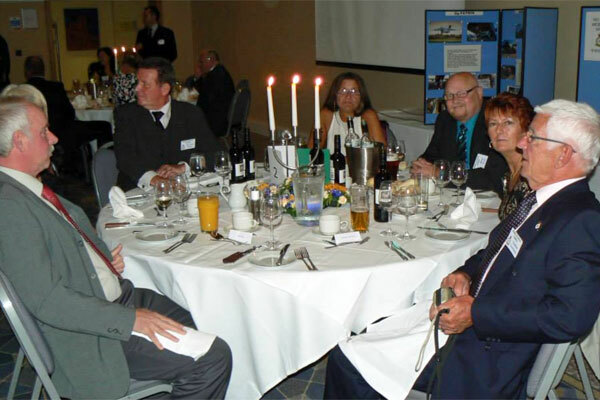 In keeping with your theme of hotels, certainly not the worst but probably one of the best is where The RAF Movements Association held their bi-annual dinner on May 31st. 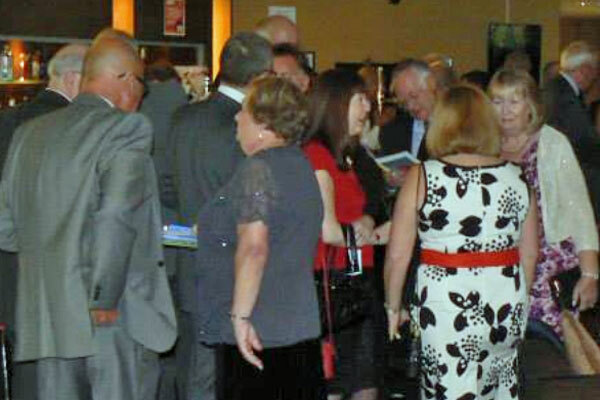 The evening went very well and, as you can see from the pictures, such luminaries as Arthur Coles and Tony Dunphy were in attendance. Judging from the e-mails I've had, everyone had a good, possibly great, time. The food was excellent as was the company. Needless to say we all retired to the bar and after several story sessions and beers we wound our way to our very comfortable rooms. The next morning we re-grouped at breakfast (all included) and after many goodbyes headed home, hopefully happy, and thinking about the night before. 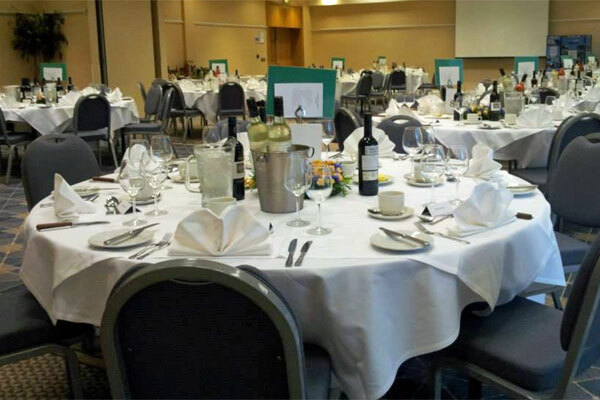 By popular request, the committee decided to get away from the usual venue of Brize Norton to having it in an hotel. Luckliy for us one of the committee had a friend working in Alexandra House which is a new business centre/hotel on the old RAF Wroughton Hospital site. The hotel doesn't show any signs of how it was, as someone in the know said it used to be the NAAFI and single mens accommodation; if true then they most certainly must have flattened it and started again. 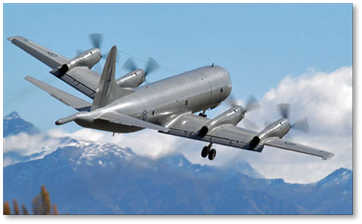 One project currently being studied is the Future Air Mobility project which is due to commence this year and which will result in a strategic airlift capability to replace the RNZAF’s C-130 Hercules and Boeing 757-200 transports between 2018 and 2025. The New Zealand government has released a Defence Capability Plan (DCP) outlining several capability enhancements in the coming decade. Based on guidance provided by the 2010 Defence White Paper, the DCP outlines several new capabilities it wishes to explore in the coming decade in order to upgrade its capabilities. I'm not sure that this quite fits into your exact category of "Hotels" but I seem to recall that when we were first deployed to Lusaka on the Zambian Oil Lift the RAF contingent were housed in the local zoo!! 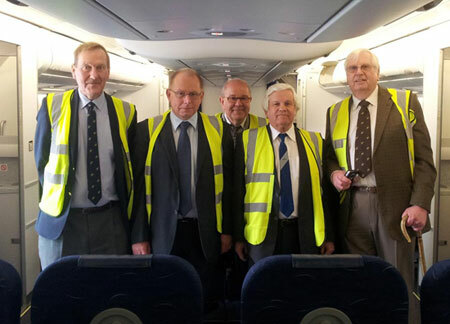 This included the Javelin aircrew which was far beneath their dignity. Chas Cormack or Jim Jamieson could confirm or deny this hazy recollection. 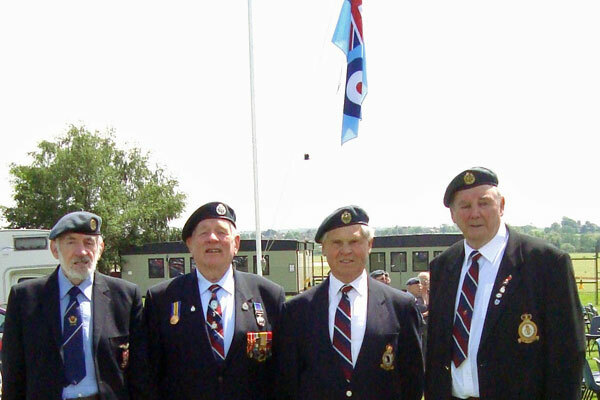 Hundreds of locations across the UK have kick-started their Armed Forces Day celebrations by raising the flag. Monday, 23 June, 10 Downing Street, local authorities, government departments and businesses across the UK have been flying the Armed Forces Day flag in support of the men and women of our armed forces, past and present. This year’s national event, taking place on Saturday, 28 June, will be hosted by Stirling Council. 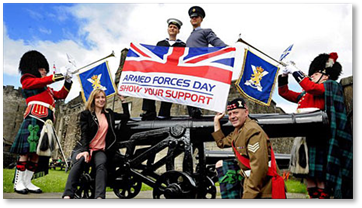 “Saturday 28 June 2014 marks the sixth Armed Forces Day and it is very heartening to see the support that the people of the United Kingdom continue to give to the armed forces. Stirling raised the flag above the iconic Stirling Castle ahead of Saturday’s celebrations, which will include a tri-service parade of personnel, veterans and cadets marching from the fortress to the field below. 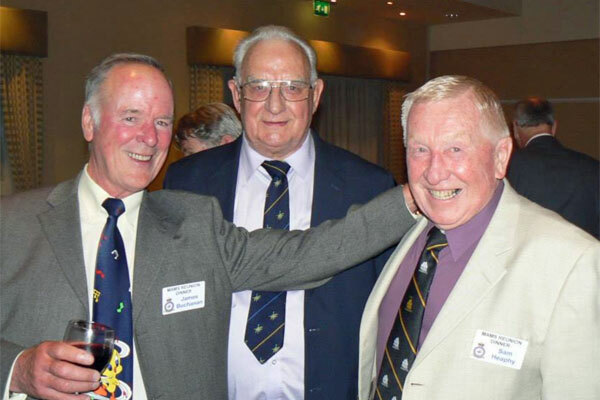 I see in today's HMQs Birthday Honours that Graham Howard has been awarded a CB - it can only be our ex-Muppet and a well deserved ''gong'' for a true gentleman and MAMS Old Boy. Air Vice Marshal Howard was commissioned into the Supply Branch in 1979. During his early service, he specialised in movements, fuels and explosives. 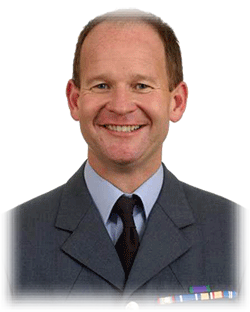 Air Vice Marshal Howard was appointed Head of Defence Logistic Policy in October 2008. I suppose that hotel quality has changed vastly over the years and depending where you are does to some extent dictate what the hotels are like. Early 1970's Amman, Grand Hotel (the name should have been a warning!). In the bathroom you could sit on the porcelain trumpet, have a shave and shower all without standing up! Mid 1970's in Tehran, I noticed water running down my room wall and told reception on my way to breakfast. Later, as I was leaving my room on departure, there was a huge WHUMP as I opened the door. I looked back to see the whole ceiling covering the floor! Not a hotel, but accommodation nonetheless. The WRAF Block at Lyneham in 1974, opposite the pans - dreadful place, noisy aircraft outside and insects in the showers! 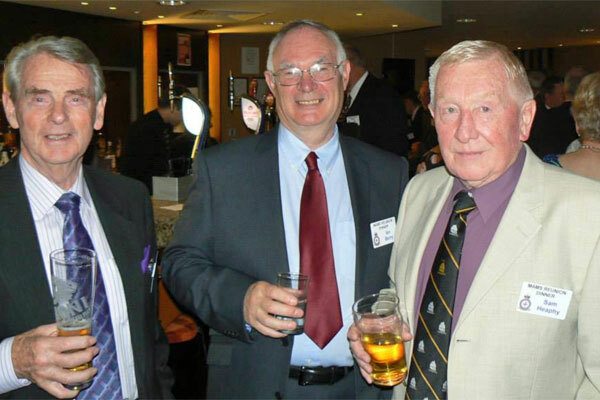 So sorry to hear that our Honorary Chairman, Jack Riley, has sadly passed on. As a frequent contributor to the UKMAMSOBA newsletter, you will no doubt feel his loss more so than most of us. 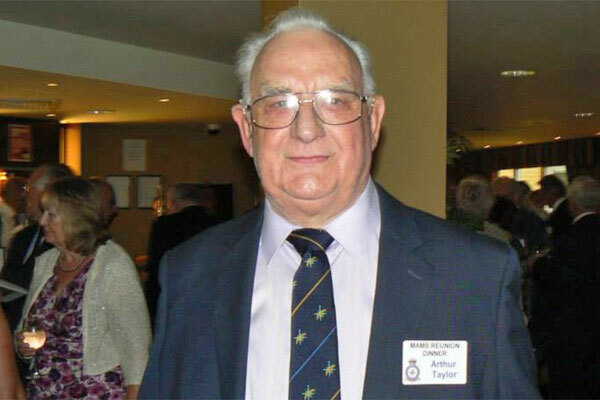 I did not know him personally, but he was the contact my AMS boss at RAF Butterworth dealt with if any problems needed sorting. This was in 1953 when Jack was serving on the Movements staff at HQ FEAF. I guess he must have been one of your oldest OBA members. The latter has his name mentioned in last month's 053014 edition, when Tom Burrows wrote: "My first MAMS trip was quite boring, it was really a training trip with WO (Uncle) Reg Carey ..."
After meeting Reg in Aden, more than a further 20 years passed by before I next met him. 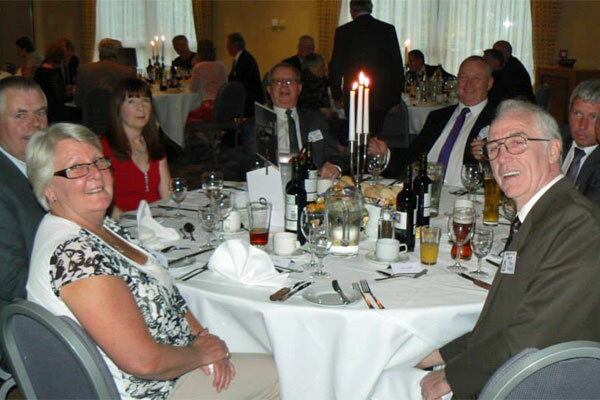 By this time I was a civilian attending an Air Movements reunion held at RAF Lyneham, organized by Reg during the 80’s when he was serving there as the WO i/c AMS. There was a very good attendance at the gathering, but sadly he was the only one I knew. 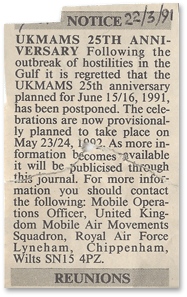 In 1991 there was another reunion I was preparing to attend at Lyneham, but unfortunately it had to be cancelled in favour of more pressing matters (see attachment). 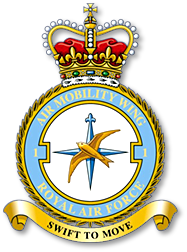 From what I saw on the recently televised series of RAF Brize Norton, it appears all Movements trainees receive a ‘passing-out’ certificate. How times have changed. That never happened at Kidbrooke, though I did earn another kind of certificate (copy attached). Mind you, having already been Movements qualified, I would have been a village idiot had I not done so. 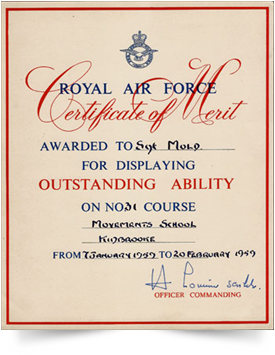 In reality, it can best be construed as a certificate for cheating, for as a means of getting my posting cancelled I had told many lies to the OC AMDU/MAMS that I hadn’t the first clue about Air Movements, and this had led me being sent away on a Movements course. My boss was an ex-aircrew S/Ldr who had been transferred into the Equipment Branch, and that allowed me to get away with my deceit, something not possible had he been a clued-up ‘genuine’ officer of the Branch. My ex-brat service number (592096) along with being a Supplier 1 were the most obvious clues that I was already ‘Movements’ qualified. And finally, to complete my Movements CV, please allow me to scrape the barrel by adding on two other events that occurred when as an AC2 at Benson in 1949 I was sent on separate detachments to two ‘Battle of Britain’ stations: Hornchurch and North Weald. This was the Government’s response to break up the London Docks strike by calling in all three Services to off-load the ships piling up in the docks. 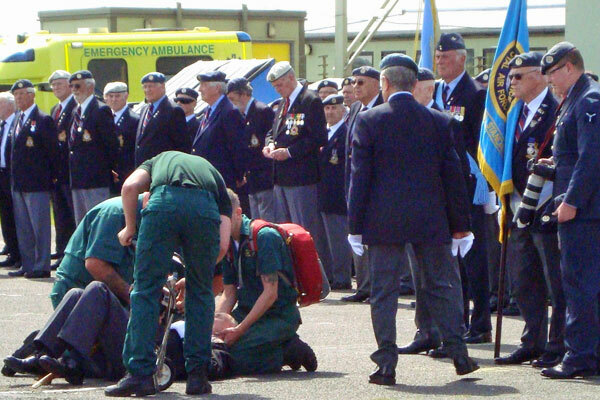 Hundreds of us were involved and the RAF element were housed in tents at Hornchurch for the first strike, and at North Weald for the second strike. The two strikes added together lasted around seven weeks. I’m writing this to justify my signing-up with UKMAMSOBA and to add some credence in the hope that you do not think you have an impostor in your midst. Anyway, at the age of 84 I’m now too old for you to kick me out for being a cheat and a liar not worthy of membership! I'm sure I have repeated a lot of info that I've already passed on before, in which case I hold my hands up and plead guilty. In one's doddering old age you must make allowances out of deference to the elderly. I rest my case! Imposter? You are what the OBA is all about Sam - somewhere to pull up a sandbag and swing the lamp! As a Sgt, there’s no doubt I would have faced a court-martial had I been found out and most certainly would have been reduced to Junior Tech status. I took a daring risk and got away with it - my biggest (and only!) RAF crime. It is believed that the strikers eventually returned to work when they learned that once the soldiers and airmen (with RN operating the cranes) gathered competence in their off-loading tasks, they were unloading the ships faster than the ‘closed shop’ dockers could ever manage. 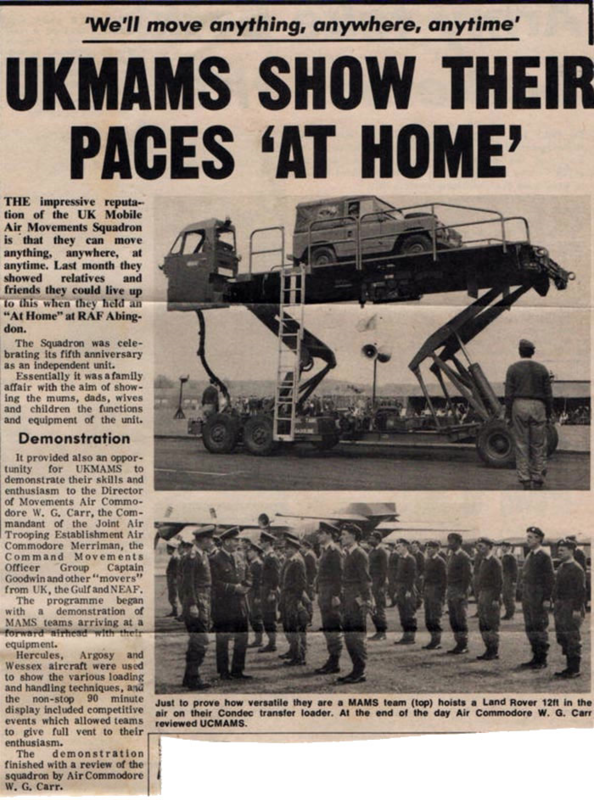 As I was one of the many cargo humpers, that should be listed on my CV as Sea Movements experience, none of which bore any resemblance to what I learnt at my brats’ training school which covered Air, Sea, Road and Rail movements, mostly involving war-time road convoys, troop movements, et al. Despite its rectangular windows, the DC-3 had no such troubles. It was born before cabin pressurisation became the norm. As such, it was virtually immune to fatigue-and so it lived on and on. If truth be told, it is not the years a plane has been flying, but the number of stress reversals it has experienced that limits its life. That the cabin pressure in a DC-3 remains the same as the ambient atmospheric pressure outside, no matter what the altitude, is one of the reasons for its blissful existence. 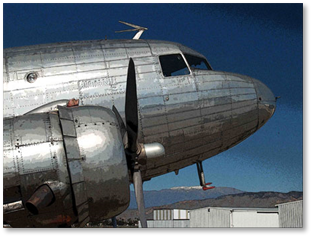 Properly maintained, there is no reason why a DC-3 could not go on flying indefinitely. By later standards, the DC-3 was massively over-engineered. That was a luxury subsequent designers could not afford. By the late 1950s, the understanding of how stresses are distributed throughout a load-bearing structure-especially in “thin-walled shells” like aircraft wings and fuselages-was no longer a black art, but an exact science. Finite-element analysis made it possible for structures to be designed strong enough to meet all feasible loads, plus a safety margin, but no more than absolutely necessary. The new generation of lighter, more efficient airframes saved fuel and helped airlines earn higher profits per passenger-mile. But they did not necessarily contribute to an aircraft’s longevity. Nor did the coming of cabin pressurisation. With the introduction of turboprops and jet engines, aircraft could suddenly fly much higher. Being above the local weather offered extra comfort to passengers. But it meant increasing the cabin pressure as the plane ascended to its cruising height. Without pressurisation, the thinner air at higher altitudes would have made breathing difficult. In fighting trim, the plane could carry 28 fully-equipped paratroopers or a consignment of jeeps, trailers or anti-tank guns. Its maximum take-off weight was supposed to be 26,000 pounds (11,800 kilograms), but wartime loads frequently pushed the plane’s gross weight to well over 30,000 pounds. So robust was the platform that one version even served during the Korean war as an aerial gunship. To allied troops on the ground, it was known as “Puff the Magic Dragon”, because of the roar and the flames from its three 7.62mm machine guns spitting out 6,000 rounds a minute. 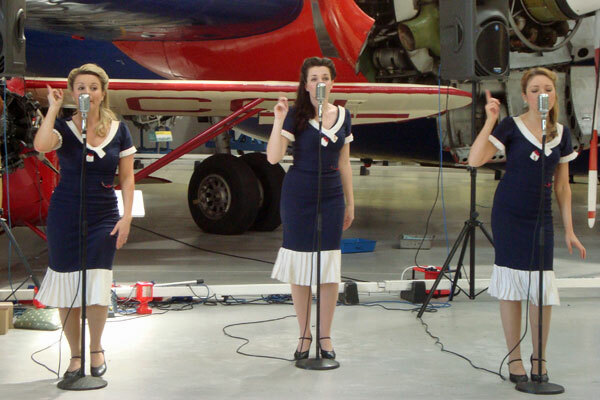 Over 10,000 of the strengthened version of the DC-3 were built during the war. At the peak of production, Douglas’s assembly lines were producing a plane every 30 minutes. General Dwight Eisenhower, supreme commander of allied forces in Europe, called it one of the four pieces of military equipment (along with the bulldozer, the jeep and the half-ton truck) that won the war. But what allowed the DC-3 to soldier on so long? Pilots who have flown it say the old lady is as tough as old boots. The wings may flap up and down (as they are supposed to do) but they never fall off. Unlike any wing designed before, the DC-3 used an arrangement of metal boxes riveted together in place of the traditional ribs and spars. The result was a honeycomb-like structure, with the skin riveted above and beneath sharing the load-carrying duties. This multi-cellular arrangement provided huge reserves of strength. Legend has it that the DC-3’s wings were so strong, a steam-roller could literally run over them and cause no significant damage. Why did the purported replacements of the 1960s - Convair CV-240, Fokker F-27 Friendship, Avro 748 and Handley Page Herald - fail to dislodge the DC-3 from its pre-eminent position in post-war air travel? All the later planes embodied advanced technology. All could carry more passengers-up to 60 compared with 21 for the original DC-3. All could fly faster and higher, though not necessarily further. The short answer is cost. War-surplus DC-3s could be had for little more than a quarter the price of a new twin turboprop airliner. Spares were plentiful and cheap. And there were lots of mechanics around who had worked on the DC-3 during the war to maintain it. Fledgling airlines of the day loved it. It was the first airliner capable of making a profit for airlines without needing a subsidy from carrying mail. The irony is that the DC-3, which was supposed to fly off into the sunset in the 1950s, lived on long after the aircraft-makers that sought to replace it ceased to exist. Even today, several hundred DC-3s continue to haul freight and passengers between settlements, mostly in the developing world. The plane’s rugged reliability, low landing speed and balloon-like landing gear with a traditional tail-wheel allow it to operate from jungle strips and muddy fields where modern planes fear to tread. Sadly, the DC-3 is now barred from Europe, a victim of an EU health and safety directive. The cost of fitting an inflatable escape-shute-to slide down all four-and-a-half feet (1.35m) from the passenger doorway in an emergency-forced the remaining operators to pension off the venerable plane. Auspiciously, the DC-3’s maiden flight was on December 17th 1935-the 32nd anniversary of the Wright brothers’ historic flight at Kitty Hawk, North Carolina. The plane has remained in operation, somewhere in the world, ever since-nearly 80 years of service all told. No other airliner has ever come close. When production of the DC-3 and its military derivative, the C-47 Skytrain, wound down after the war ended, some 16,000 copies of the sturdy transporter had been built in America, the former Soviet Union and even Japan. Along with its military sibling (practically all of which were later converted for civilian use), the DC-3 ushered in the modern era of air travel. Suddenly, in three hops, passengers could fly from Los Angeles to New York in 15 hours, where previously it took well over a day. The railways never recovered. The twin-engined DC-3 ruled the skies in the 1930s and 1940s. By the late-1950s, though, its days were deemed numbered. A ready market for a successor was confidently predicted, as thousands of DC-3s reached their expected retirement age. But what none of the plane-makers offering alternatives - Convair in the United States, Fokker in the Netherlands, and Avro and Handley Page, both in Britain-had bargained for was that the best replacement for a DC-3 would turn out to be a DC-3. will enjoy it, I’m sure. Back in the early 1950s, the metallurgy of metal fatigue and crack propagation was barely understood. Today, reams of data exist on how many stress reversals various alloys can withstand, and where stress concentrations can build up in a structure to initiate a crack. Sharp corners are notorious for allowing stresses to accumulate. 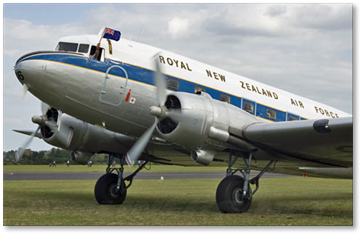 The original Comet had square-cornered windows (as did the DC-3). Ever since, airliners have had either oval windows, or at least ones with rounded corners. At a typical cruising altitude, the pressure difference between the inside and outside of an aircraft can be as much as 7.5 pounds per square inch (0.53 kg/sq cm). The stresses on the airframe, caused by the pressure difference as the plane climbs and descends, make the structure expand and contract whenever the aircraft takes to the air. Such stress reversals eventually cause metal parts to fatigue and crack. Fatigue cracks are what caused three De Havilland Comets, the world’s first passenger jets, to disintegrate catastrophically during flight. Apart from its ingenious wing design, the airframe was beefed up to meet wartime duties. The plywood floor was replaced with an all-metal one, which improved the fuselage’s torsional and longitudinal rigidity. 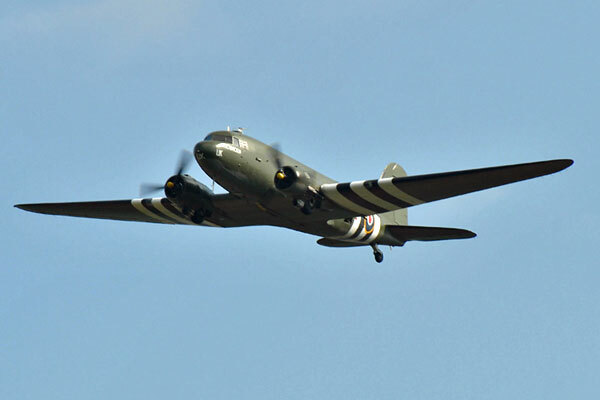 Meanwhile, the undercarriage was reinforced so that the DC-3 could operate close to the battlefield. Caption Competition - the results! Congratulations to Mick Oxenham - enjoy your prize! A sad but true story about loyalty ... or rather the lack of it. There is a gentleman who has the distinction of two tours on mobile. During his first tour in 1975 he and his team were tasked to South Africa. He managed to annoy the locals, his team and the flight crew with his attitude to blacks, South Africa, the team and life in general. He was not a popular chap with his team. On another occasion he and his team were tasked with a trip to the USA, travelling via Lajes in the Azores. For the night stop the SNCOs and airmen were located in one block, and the officers in another. The next morning the Belfast crew appeared on the bus minus the team leader. 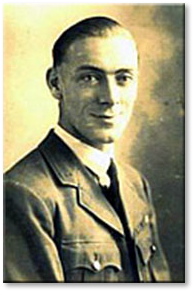 The aircraft captain promptly asked the MAMS SNCO, FS Taff Sugg, if the team really needed their officer for the forthcoming task. Taff replied that if it were not for a lack of finances then the team were self-sufficient. The captain replied that they had 'lots of dosh' and the rest is history. 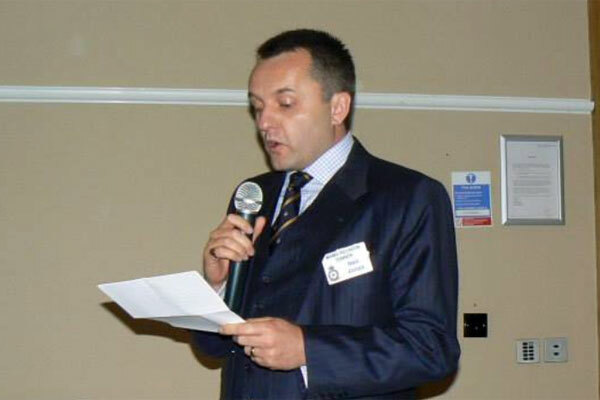 The officer in question managed to scrounge a flight back to the UK five days later. It seems that we've "bulked out" and so we're going to have to "short ship" the Mystery Photos for this month. Any complaints should be channelled through our lawyers, "Dewey, Cheetham and Howe." Thank you for your understanding.